In the early 1990's a loose-knit group of likeminded outsiders found common ground at a little NYC storefront gallery. Rooted in the DIY (do-it-yourself) subcultures of skateboarding, surf, punk, hip hop & graffiti, they made art that reflected the lifestyles they led. Developing their craft with almost no influence from the "establishment" art world, this group, and the subcultures they sprang from, have now become a movement that has been transforming pop culture. 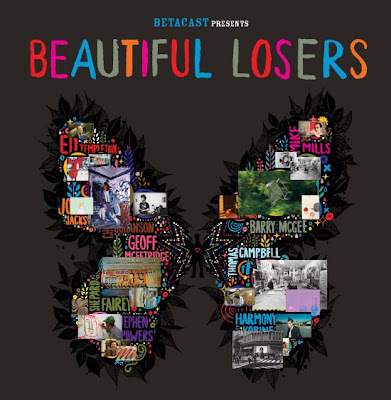 Starring a selection of artists who are considered leaders within this culture, Beautiful Losers focuses on the telling of personal stories. It speaks to themes of what happens when the outside becomes "in" as it explores the creative ethos connecting these artists and today's youth. The film is being screened at the BFI on the 18th October and the ICA on the 21st October. There are only a few seat left at both venues. See the movie trailer above. There will be a post-screening party at Cordy House in Shoreditch which will be free for ticket holders of Beautiful Losers screening or £5 on the door for everyone else. DJs performing at the party will include Squeak E. Clean (LA), Nosaj Thing (LA), Take (LA) and Patchwork Pirates (London). Beautiful Losers artists are collaborating with London graffiti artists to create art installations at Cordy House and also at the Nike Space currently in Batemans Row, Shoreditch. Artsits include James Jarvis, Will Baras, Insa, French, Cheryl Dunn and Ben Drury. The installation at Nike Space Bateman Row will be open to the public from Mon 20 Oct. The installation at Cordy House will be unveiled at the after party on Sat 18 Oct.